HONG KONG, 2015-5-4 — /Travel PR News/ — Dragonair today announced the continuation of its partnership with Hugo’s, the fine-dining restaurant at the Hyatt Regency Hong Kong, Tsim Sha Tsui, to offer First Class and Business Class passengers an exclusive inflight menu featuring a selection of classic European dishes. The latest menu resulting from this collaboration is being served on selected Dragonair flights from Hong Kong to Beijing and Shanghai from now until mid-April 2016. The new menu has been exclusively designed for Dragonair by Michael Donlevy, Executive Chef at the Hyatt Regency Hong Kong, Tsim Sha Tsui, and features 20 dishes including soups, appetisers and main courses. 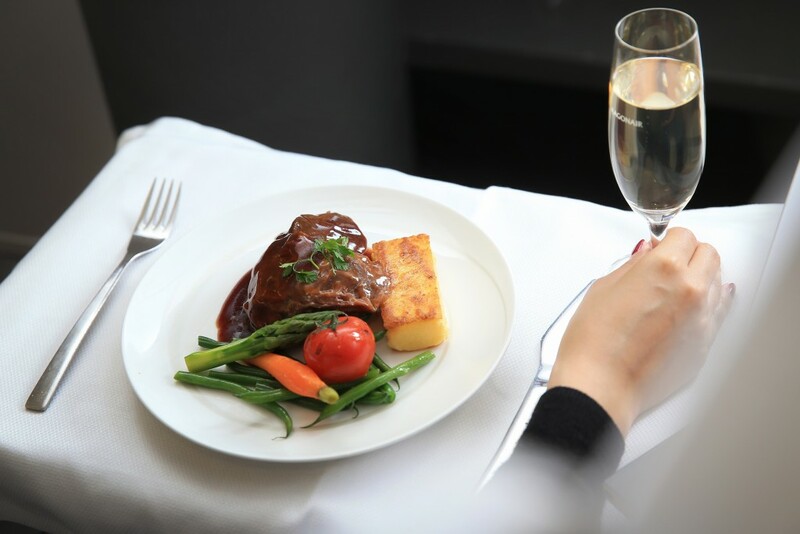 The combination of high-quality ingredients with traditional cooking techniques helps to make this a unique dining experience for passengers. This entry was posted in Airlines, Flights, Food & Drinks, Transportation, Travel, Travel Management, Travel Services, Travelers and tagged Brian Yuen, Dragonair, fine dining restaurant, Hugo’s, Hyatt Regency Hong Kong, inflight menu featuring, Tsim Sha Tsui. Bookmark the permalink.